Important Please Read: These require fabrication of custom mounting brackets. Inverted front ends require fabrication of custom mounting brackets, as well. Measure the Outside Diameter of your headlight before purchasing.This fairing will fit over headlights that are 6 1/4" in diameter or less. Does not include brackets. 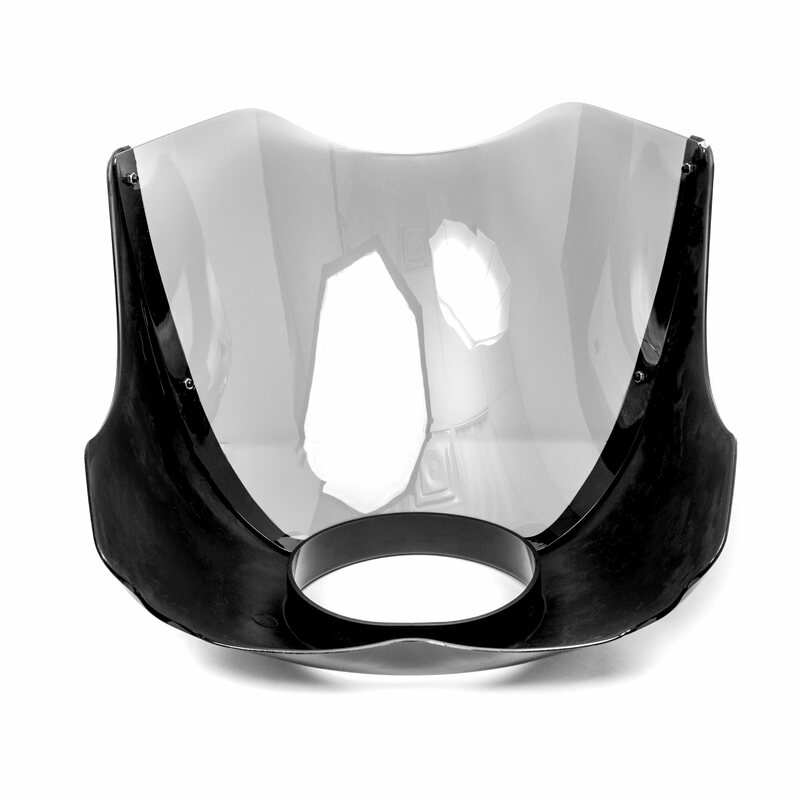 This headlight fairing is a universal design and custom modifactions willbe required. Drilling holes in the fairing is typically needed to attach fork mountingbrackets, but this will vary from model to model.